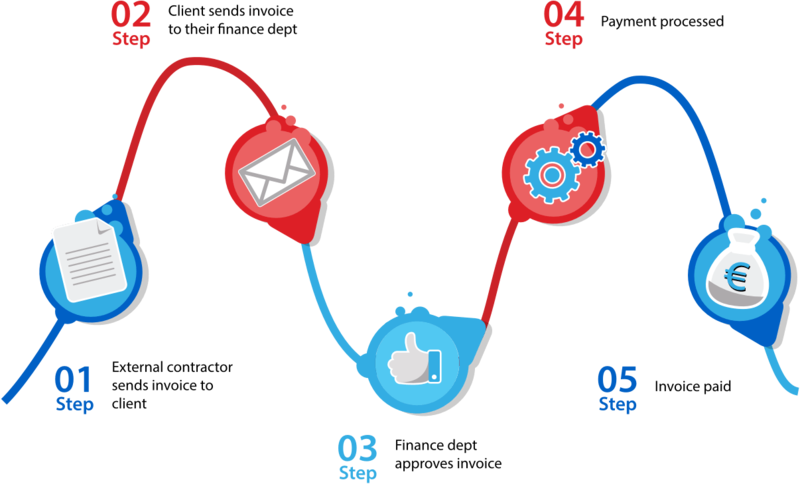 A workflow is a series of steps that need to be carried out in order to complete a given task / job / business activity. Everything from processing payments to providing IT support can have its own workflow. And every workflow can be facilitated and optimised by a workflow management system. A workflow management system is a piece of software that provides the infrastructure to help you create, automate and track different workflows or processes. The right workflow system can help your business cut down on wasteful processes through automation and keep track of deadlines, while the wrong system can cause unnecessary blockages or end up never being used. However, choosing the right workflow management system depends more on being able to define how all the stakeholders in the activity really work and designing a system that fits their needs, rather than adopting the latest technology because it has cool features. Let’s look at a simplified workflow for an invoice payment for example: an external contractor creates an invoice and sends it to the client. The client forwards the invoice to the finance department, who then approves the invoice and processes the payment. This process involves three actors, the external contractor, the client, and a member of the finance department. Designing the right workflow system depends on what each actor actually does in the workflow and how this can be supported. Does the client actually approve the invoice rather than the finance department? As the person who commissioned the work, does his/her action of sending the invoice to finance validate the payment? Does the finance department play more of an administrative role by checking the invoice is in order and submitting it for processing? Does processing and payment require any stakeholder action? These details will all affect the type of workflow system that is needed, from determining who can start the process in the application, to what permissions each actor should have, and what tasks can be automated. And this just for a simple workflow! Businesses in general have more complex workflows with multiple actors, numerous steps and many statuses. It is imperative to begin by mapping how you work. How many people are involved in the process? How many steps does the process take? What are the different stages? Is the system intended to manage a task or project? Workflow systems come in all shapes and sizes with their own unique approach to workflows. They also come loaded with “must-have” features and gadgets. But the technology will quickly become redundant if it adds extra steps to the process or doesn’t provide the right functionality at the right time.